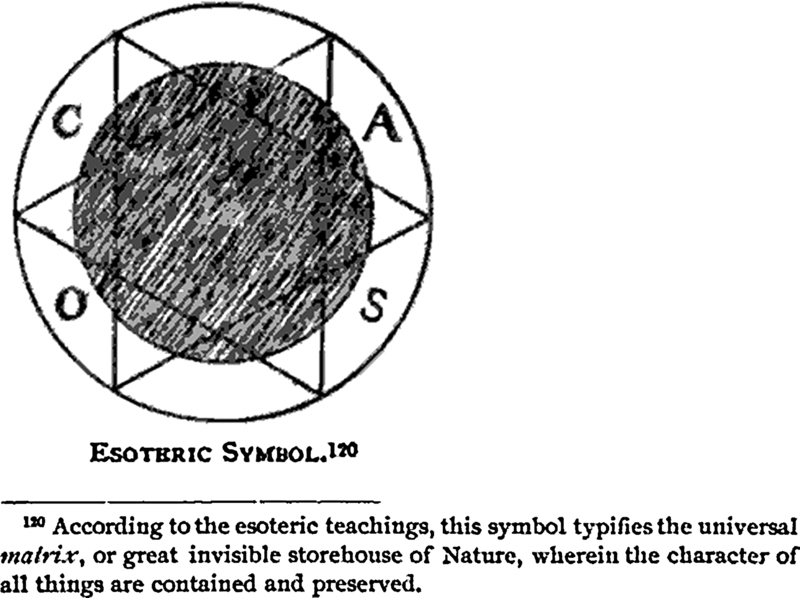 Here's the esoteric symbol of the matrix, from The German Pietists of Provincial Pennsylvania by Julius Friedrich Sachse, 1895. Here's how a snowflake is a table and a O is an unfamiliar notion. From A Handbook of Phrenotypics for Teachers and Students by Major Beniowski, 1842. 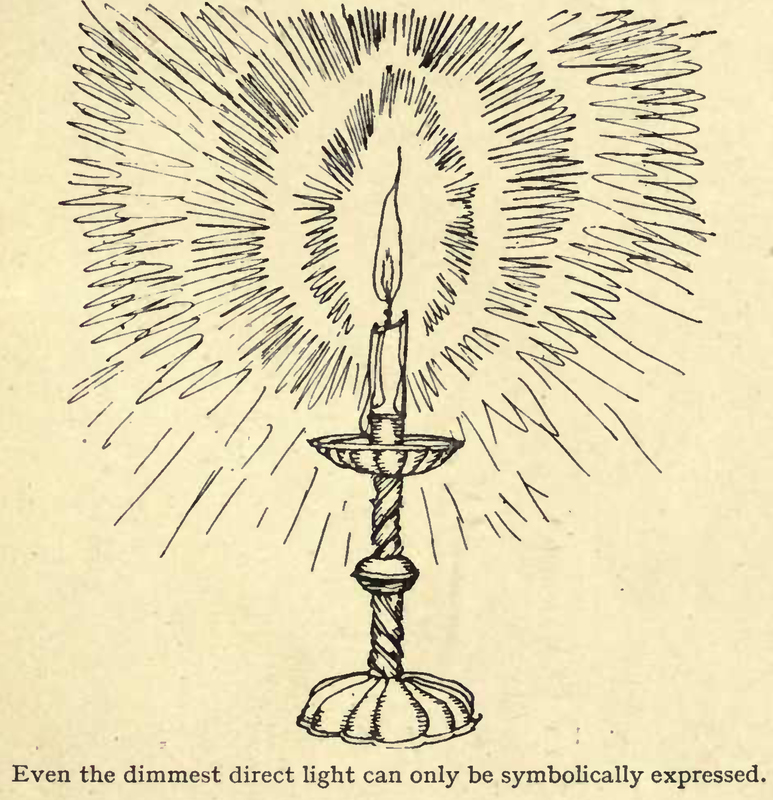 "Even the dimmest direct light can only be symbolically expressed." From Line: An Art Study by Edmund J. Sullivan, 1922. "He made a big 'O' with two little crosses in the middle." 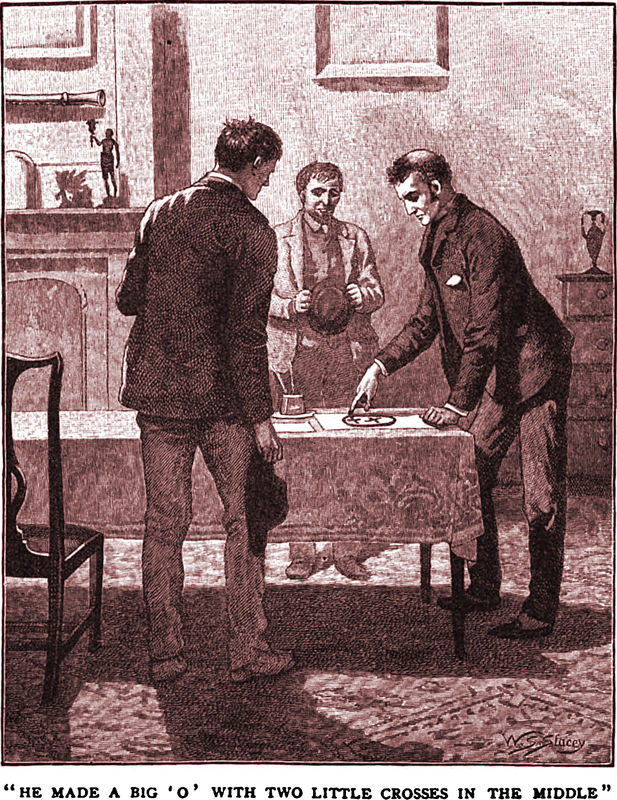 From "The Double X Mystery" by Thomas Keyworth, in Cassell's, 1890. 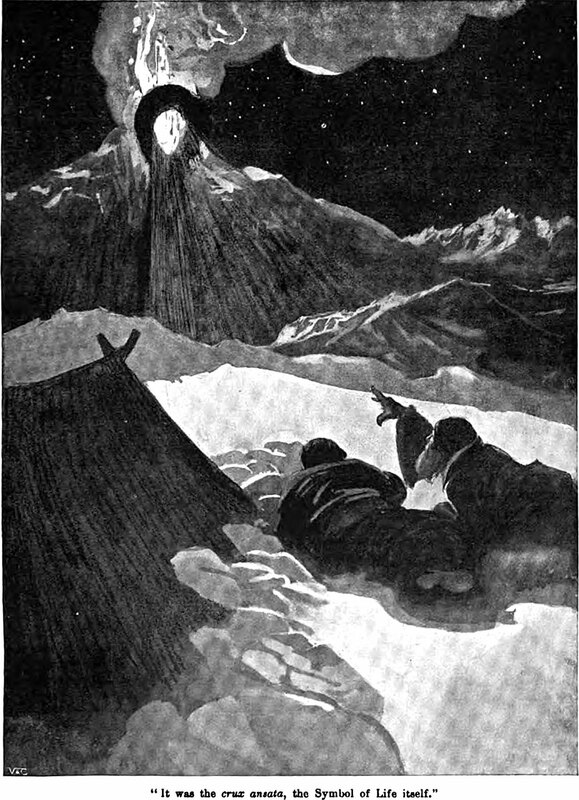 "An immense 'O' was seen upon it, with two 'X's' inside." 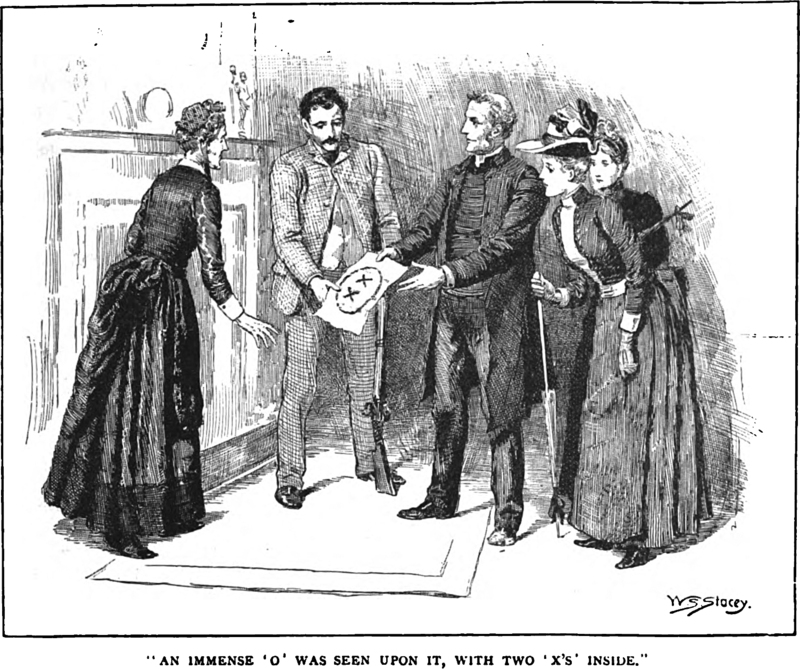 From "The Double X Mystery" by Thomas Keyworth, in Cassell's, 1890. 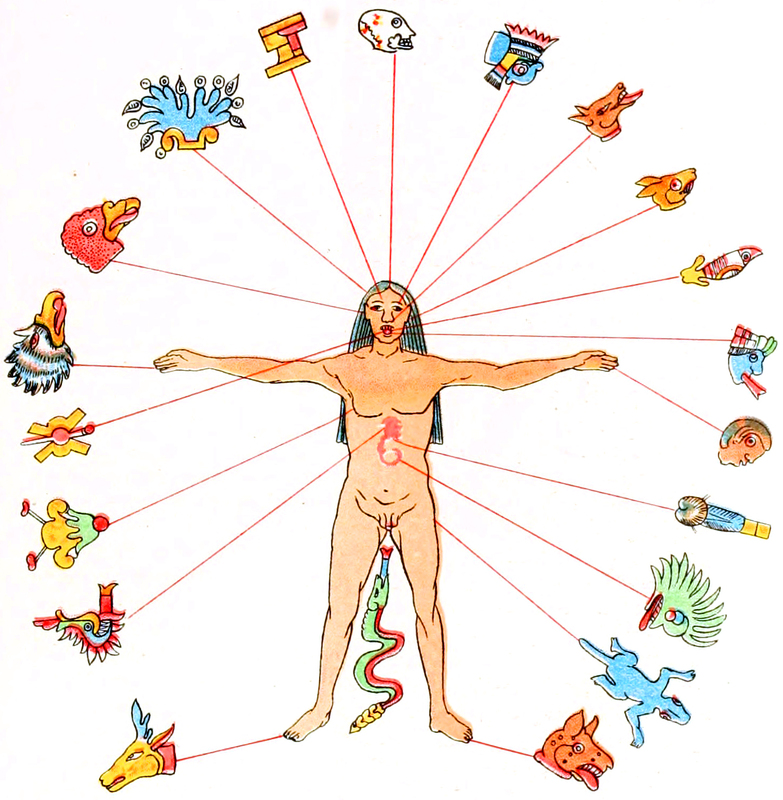 The Codex Vaticanus explains that these ancient Mexican symbols are the twenty figures that rule over men [deer or stag, wind, rose, earthquake, eagle, vulture, water, house, skull or death, rain, dog, rabbit, flint, air, monkey, cane, grass or herb, lizard, tiger, and serpent] and that cure in a corresponding manner those who become ill or suffer pains in any part of the body. "The sign of the wind is assigned to the liver; the rose to the breast; the earthquake to the tongue; the eagle to the right arm; the vulture to the right ear; the rabbit to the left ear; the flint to the teeth; the air to the breath; the monkey to the left arm; the cane to the heart; the herb to the bowels; the lizard to the womb of women; the tiger to the left foot; the serpent to the male organ of generation, as that from which their diseases proceed in their commencement; for in this manner they consider the serpent, wherever it occurs, as the most ominous of all their signs." From the Annual Report of the Bureau of Ethnology, 1889. 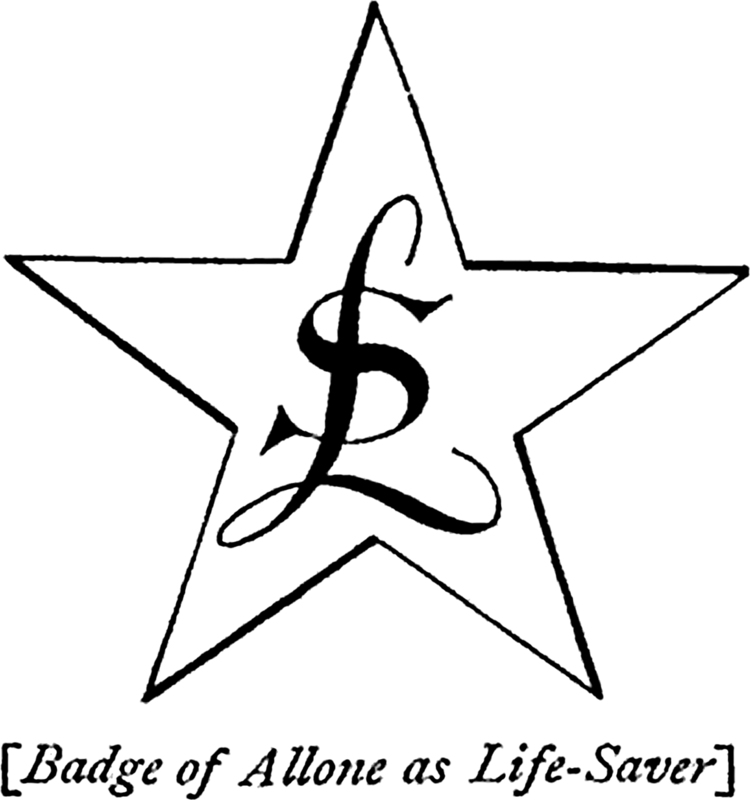 This is the symbol left in the crib after the Lindbergh baby was famously taken away. 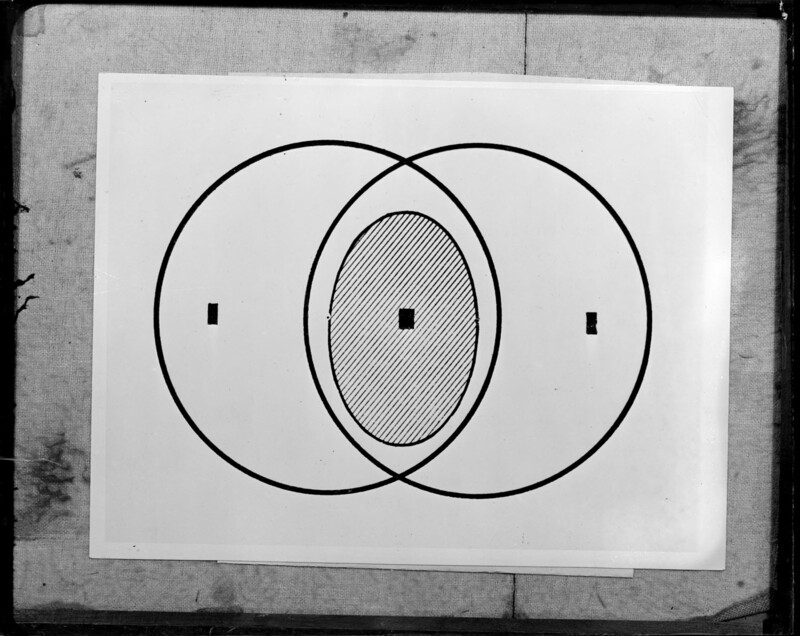 "There has been no genuinely convincing analytic work done on [this symbol] with respect to the Lindberg story" (Jerry Kroth, The Lindbergh Kidnapping, 2011). [Note that the three black rectangles are actually holes that were punched in the paper and are not technically part of the design.] The shaded object in the center is, of course, the "black egg" of alchemy, symbolizing the nigredo (a stage of putrefaction; the final step toward the "philosopher's stone" of enlightenment) and expressing "the precarious balance of the hermaphrodite, exalted by a [threatened] equilibrium" (Johannes Fabricius, Alchemy: The Medieval Alchemists and Their Royal Art, 1994). 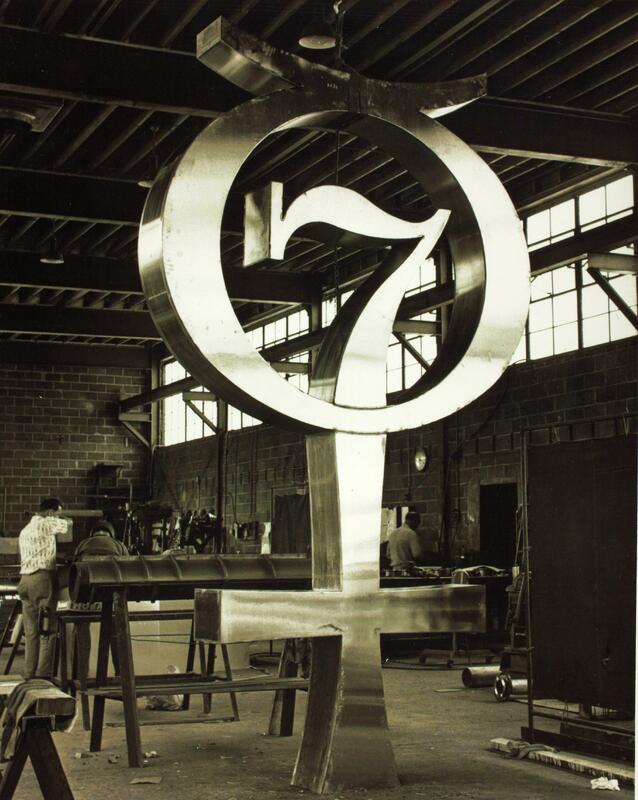 This 1932 photo of the symbol is courtesy of the Boston Public Library. 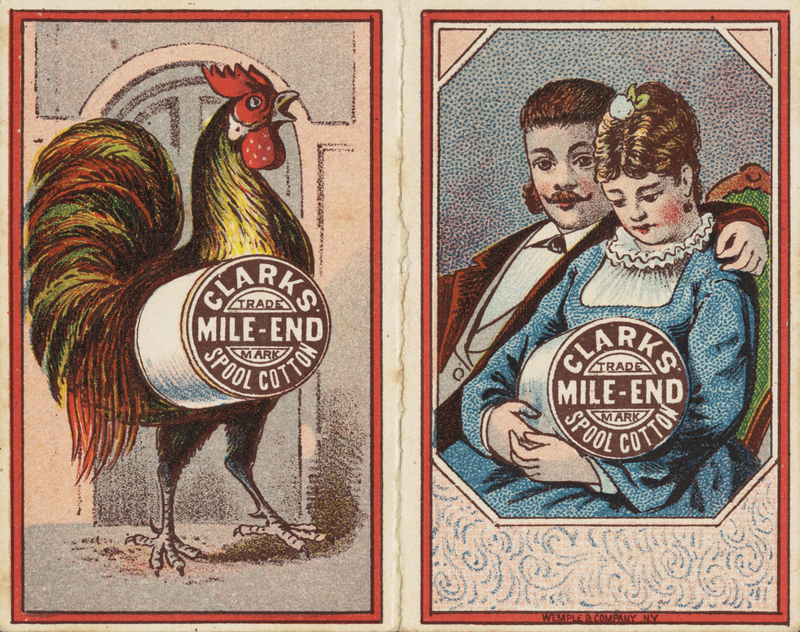 The symbolism here is rather blatant — the rooster is the male principle who engendered a newborn spool of cotton thread. As someone once said, "Wool makes yarn; flax makes linen; cotton makes cotton." From c. 1890. Years ago we developed a calendar system that tracks the flow and relationships of telltale words and symbols. One can generate an entire month's calendar to test its accuracy in predicting events in daily life. The link is http://mysteryarts.com/magic/calendar/. The text reads, "There's no such thing as an "inverted pentagram." The so-called inverted pentagram is merely an upright pentagram tilted 36 degrees. Indeed, there's no such thing as an inverted pentagram, for such is a mathematical impossibility." A self-portrait by Prof. Oddfellow. "A model hieroglyphic with sure prophecies for the next hundred years": from Punch, 1848. 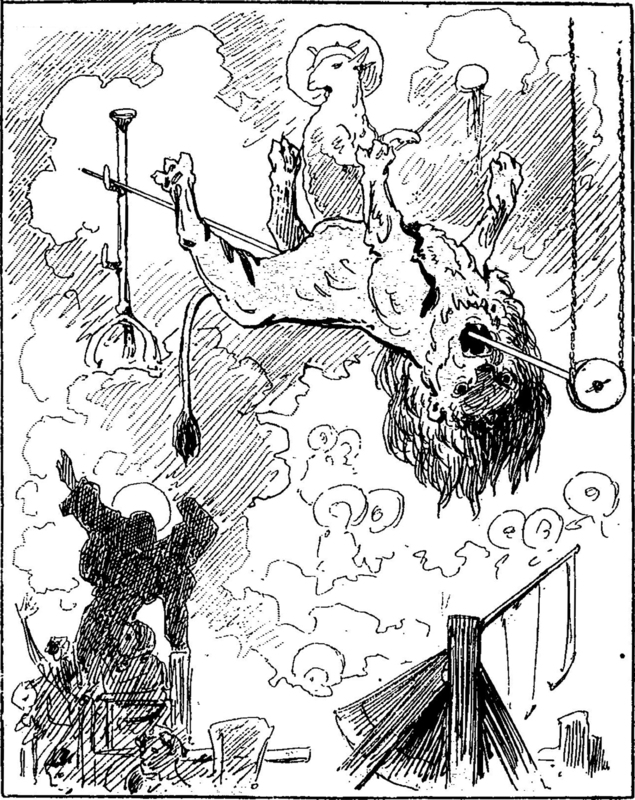 An illustration from a 1905 issue of The Windsor magazine. 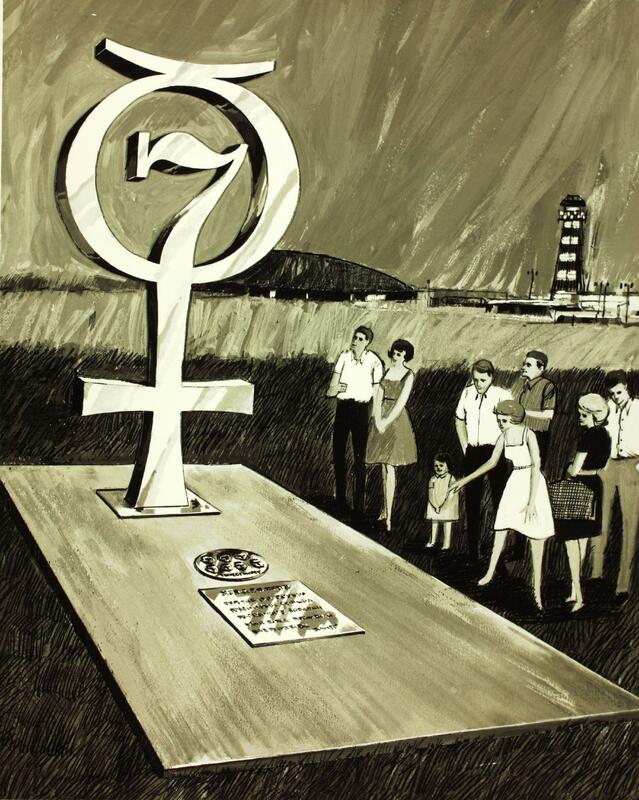 The caption reads: "It was the crux ansata, the Symbol of Life itself."